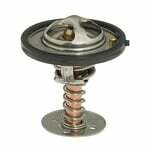 Mr. Gasket offers these high-quality thermostats for GM LS series automobile and light truck engines that utilize a separate thermostat and water neck. They're available in 160 and 180 degree temperatures to suit your engine application. Fits GM LS series engines that utilize a separate thermostat and water neck housing.